BRIGHTON, Mich. - The Ford Fiesta ST was recently named Small Car of the Year by Esquire magazine, and now the 2014 Ford Fiesta has raised the standard for fuel efficiency and power! Coming equipped with the award-winning 1.0-liter EcoBoost engine, the new Ford Fiesta will be America's most fuel-efficient non-hybrid, gasoline-powered car! This small car gets 32 mpg in the city and 45 mpg on the highway, making for a total of 37 mpg. This fantastic fuel economy rating makes the new Ford Fiesta the best-in-class! The new Ford Fiesta has also stepped forward as the only car in its class that produces more than 120 horsepower AND gets 45 mpg on the highway. It's 1.0-liter EcoBoost engine produces 123HP and 125 lb.-ft of torque, but features an overboost function that allows the car to make more than 145 lb.-ft for up to 15 seconds. It is obvious that the 1.0-liter EcoBoost has taken the new Fiesta to a whole new level - both in the power and fuel department. Having previously only been available in Europe, the 1.0-liter EcoBoost will make its U.S. debut in the 2014 Ford Fiesta - and what a debut! With such great numbers, the new EcoBoost is predicted to do very well in the United States. Along with the efficient new EcoBoost engine, the Ford Fiesta has an aerodynamic design that will also help the vehicle save fuel. The rear spoiler, side air deflectors, underbody shields, lower grille blockers, and low-rolling-resistance tires, all work together to keep fuel consumption at a minimum. 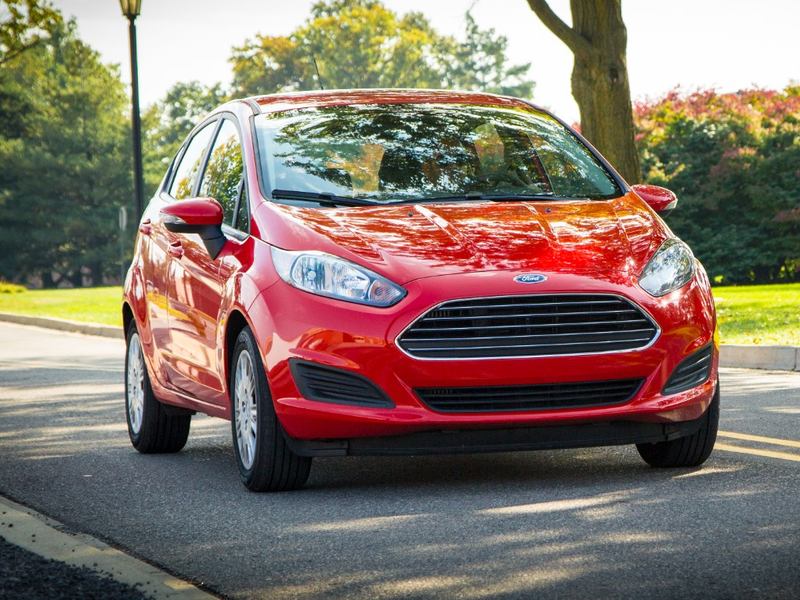 2014 Ford Fiesta raises the standard for fuel efficiency and power - all thanks to the tiny, yet powerful, 1.0-liter EcoBoost engine. To get more information on the EcoBoost, or to check out our various other vehicles that have EcoBoost options, stop by our White Lake Area Ford Dealership! Our friendly and knowledgeable sales staff will be more than happy to discuss vehicle details with you, or set you up with a test drive in one of our New Ford Cars. Brighton Ford is located at 8240 Grand River Ave. just north of I-96 in Brighton. We are a family owned and operated business that strives for customer satisfaction. For more information on Brighton Ford visit BrightonFord.com or give us a call at (800) 836-8206.